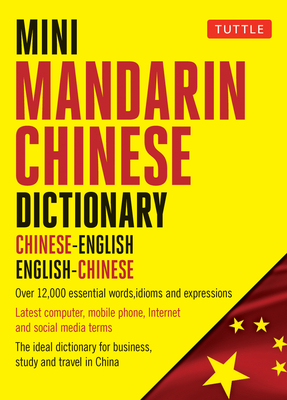 This travel-sized Mandarin dictionary is ideal for any application where a handy and portable dictionary is required. Intuitively organized and easy-to-use, this powerful pocket reference is ideal for business, study, and travel. The Tuttle Publishing Company was established in 1948 in Rutland, Vermont, and Tokyo, Japan, and is today regarded as a premier publisher and seller of books rooted in Asian culture, language and history. Since its founding in 1948, Tuttle has published more than 6,000 books and today maintains an active backlist of around 2,000 titles. Today, Tuttle publishes 150 new titles each year focusing on Asian Languages, Asian Food & Cooking, Gardening & Flower Arranging, Crafts & Origami, Children's Books, Martial Arts, Asian Literature, Games & Graphic Novels, Asian History & Culture, Health & Fitness, Self-Help & Eastern Religion, Asian Art & Collectibles, Interior Design & Architecture, Travel Guides, Maps, and Business Books. Tuttle products are available in printed formats as well as popular eBook formats.